I never thought I'd say this, but....I REALLY want a pair of black Birkenstocks. The more I see how effortlessly amazing they look, the more I want them. The fact that they're so comfortable is a major bonus too. Who would've thought that an "ugly" shoe could look so good with just about anything? What are your thoughts on the trend? 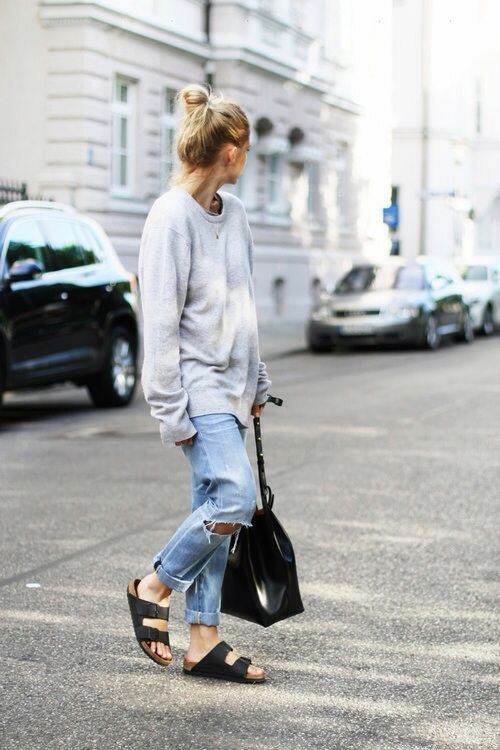 literally OBSESSED with birkenstocks right now! i've been looking everywhere for the silver metallic ones but they're all sold out! loving the white patent leather ones, too! DO IT! I love both my birks and my zara look-alikes. Damn it. Now I need a pair of black Birks. My hippie sister is going to be so happy. LOL! Hope you're well friend! BTW - your legs in your last post with the black lace shorts? WOW! !